What if Nazi Germany triumphed? As a Jew I often wonder: 71 years after D-Day, it’s worth noting this article might not have been written. After thousands died at Normandy, I am able to sit behind a desk. Such an assertion may seem drastic, but consider the following: In June 1944, Nazis occupied most of Europe and millions had been slaughtered in death camps. March saw Germany invade Hungary, with a population of about 825,000 Jews, Europe’s largest remaining. 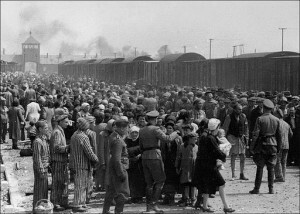 Deportations to Auschwitz commenced in May and continued beyond D-Day. If the invasion was delayed or unsuccessful, many more would have perished, including 260,000 Hungarian Jews liberated by Soviet troops in January 1945. Germany surrendered May 7th; history notes six million Jews perished. But Europe’s pre-war Jewish population, an estimated 11 million, means many survived. Some stayed, others emigrated, but wherever they went, Jews disproportionately contributed culturally, economically, and spiritually. Imagine the United States under Nazi occupation and the potential effects for those whose families fled generations earlier. Would Jonas Salk have created a Polio vaccine in 1955, or would a German doctor have taken his place? What about William Levitt, the real estate developer who was largely credited with creating modern suburbia? And what about Larry David, the comedian who created Seinfeld? Some got out just in time. Henry Kissinger fled Germany in 1938, served as Secretary of State for Presidents Nixon and Ford and is regarded by many as America’s most brilliant diplomat. Albert Einstein, a brilliant physicist who arrived in the U.S. in 1933, likely prevented Nazis from developing an atomic bomb and ensured America did. Three-year-old Rudy Boschwitz left Germany with his parents the same year as Einstein, served Minnesota in the U.S Senate for 12 years, and was later appointed Ambassador to the U.N Commission on Human Rights. Tom Lantos, a teenager when Nazis occupied Budapest, endured torture and forced labor before legendary Swedish diplomat Raoul Wallenberg provided a hiding place. Lantos served 27 years in Congress representing portions of Northern California, where he promoted human rights before ultimately succumbing to cancer in 2008. Elie Wiesel, who survived Auschwitz and Buchenwald, became a world-renowned human rights activist, famous author, and Nobel laureate. 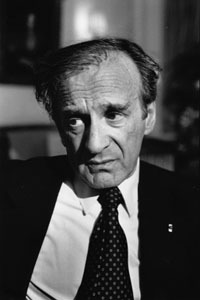 Regarded by many as voice for both survivors and those who perished, Wiesel travels the world educating and promoting tolerance. My ancestors left Eastern Europe at the dawn of the 20th century. They were lucky to avoid both world wars. Were it not for the blessings of America and men like my late uncle Bernie who landed seventh in the wave at Omaha Beach, my family might have perished. Each year I celebrate June 6 to honor the memories of approximately ten thousand Allied soldiers who died that day. It is for them that I write this piece.